A mix of Dimps past glories may be heading your way in Sonic The Hedgehog 4 Episode II if the latest concept art has anything to say about it. Despite several pieces released the other day, SEGA’s Friday tradition continues with offerings via their Facebook channel and official blog. First up on Facebook is “Sandworm”, a creature with a slight resemblance to classic badnik Caterkiller in my opinion. 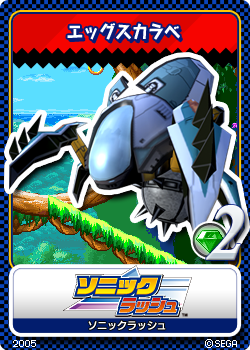 The similarities don’t stop there however as the second one “Scarabesque” revealed via SEGA’s official blog has distinct roots in Sonic Rush as it looks decidedly reminiscent of third game boss “Egg Scarab” even down to what appears to a spiked ball/bomb it pushes around! 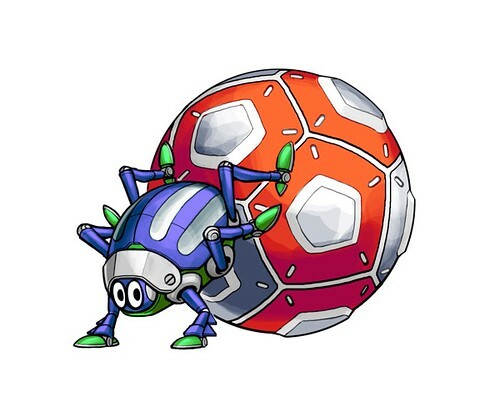 However this is a much more classically styled badnik than the one from Rush and Sonic 4 takes place before Sonic Rush in the series timeline (assuming Sonic Rush’s events happened of course) – could Scarabesque therefore be a direct precursor to Egg Scarab? Something Eggman perfected over time? Or is it a recycling of a Dimps idea from 2004 hoping no one notices. You decide. Scarabesque: Cute but deadly… we assume. I’m not surprised. When Sonic 4 first came out, I heard many conversations. One being that is was a 2D game, and the first in a long time. What were the Sonic Rush games to you people? Well, they were awesome to me.